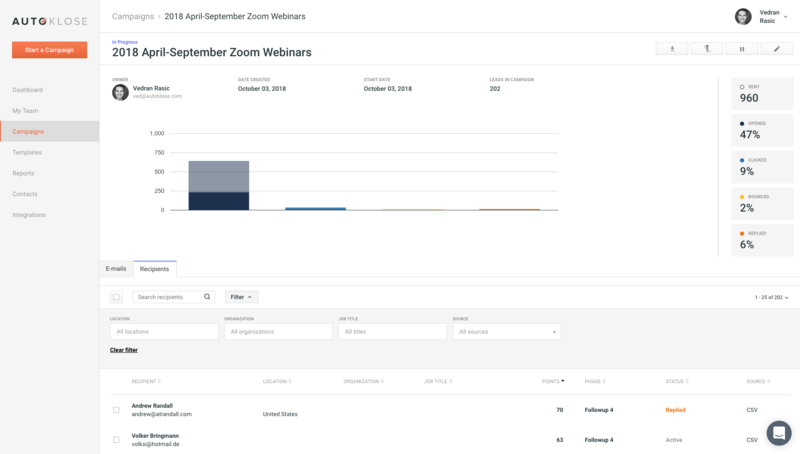 Access your campaign stats instantly. Track your sent, delivery, open, click-through, reply, and bounce rates. 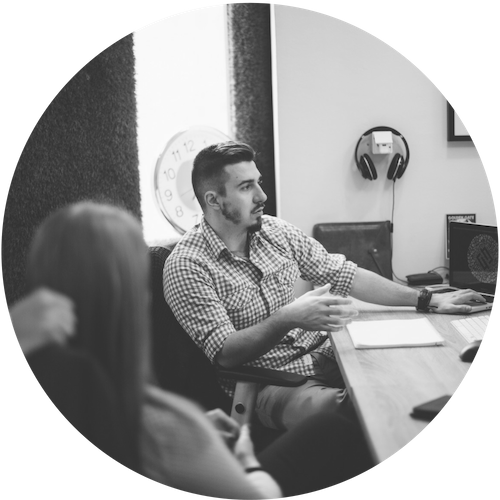 Easily predict customer engagement patterns and behaviors, and identify the exact moment when your leads are sales-ready. Our detailed reports enable you to keep track of how each member of your team is performing. Filter the stats for each campaign and team member, and see the results in black and white. 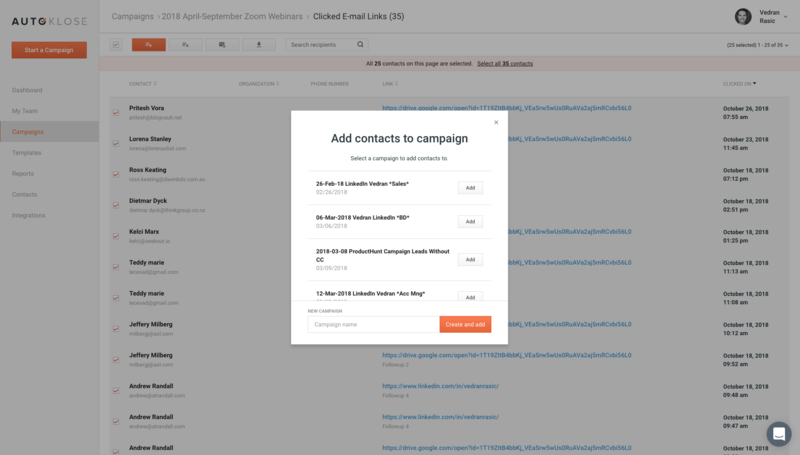 Go through comprehensive stats compiled and analyzed by Autoklose, and identify the winning subject line, body content, and high performing campaigns. Revolutionize your A/B testing and optimize your campaigns with Autoklose. 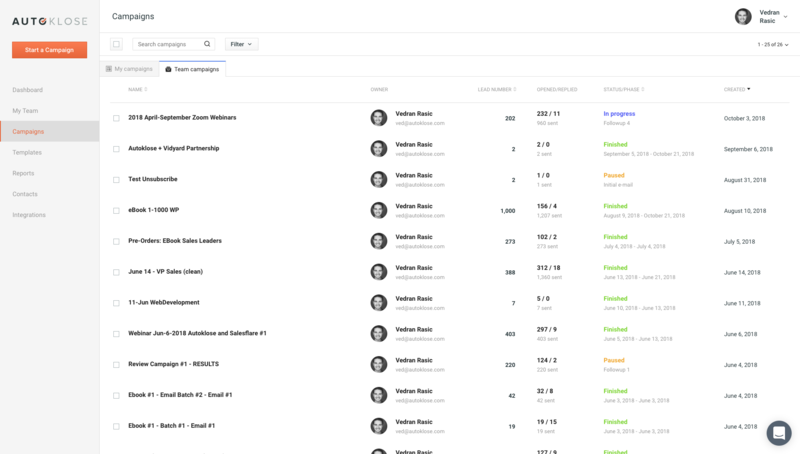 Our email tracking feature puts you in control of the interaction with your prospects. Use our chronological contact activity timeline. 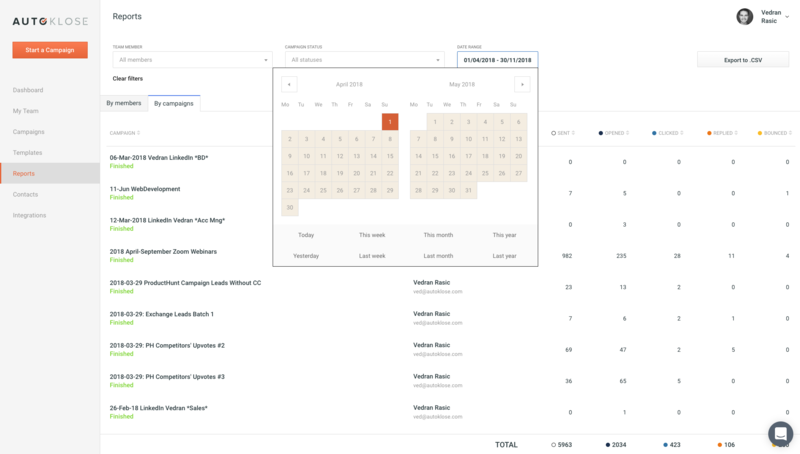 Check and filter inside a specific campaign or the entire history. Monitor in real time: date, time, activity, email, and content. Track high-level opens/replies per campaign. Check status/phase and creation date. 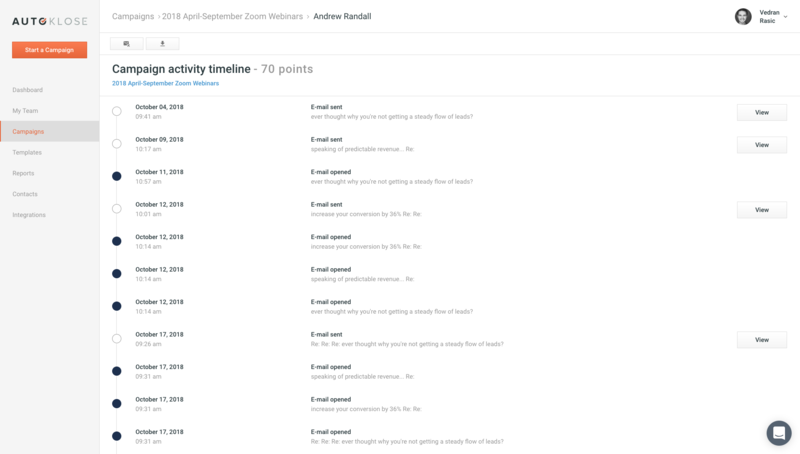 Improve team coaching by tracking campaign progress. Use our top-notch algorithm to track sent, delivery, open, click-through, reply and bounce rates. Pause and improve your campaigns at any point in time. Filter or remove recipients and add them to a new or running campaign. Check what messages have been opened or clicked but didn’t get a reply. Try again and initiate a follow-up campaign to reach out to the unresponsive prospects. Sync Autoklose seamlessly with Salesforce or your CRM of choice. Download different reports filtered by a particular team member, campaign status or date, and export them to a .CSV file.